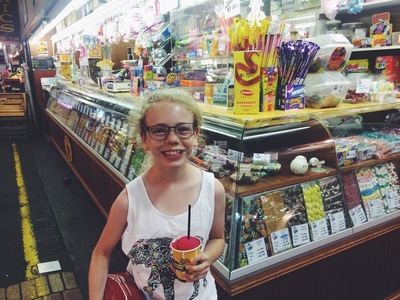 The Central Market is one of Adelaide's major attractions, but while the appeal is obvious to most adults--especially food lovers--sometimes it's hard to find ways for kids to enjoy the crowded lanes. Here are a few ways to make the most of the Central Market and have fun with the whole family. The Central Market has two old-style lolly shops, The Carousel Nut Bar and Blackebys Sweets--the sister store of the Blackebys off Rundle Mall. The fun isn't just in buying something sweet, but in eyeing off all the delicious sugary treats through the glass cabinets. You can get by with just buying something small, and the kids will still have a lot of fun gazing at all the sweets on display. The stores also both sell a selection of drinks like cordials, lemonade, and frozen coke/raspberry. Lolly shops aren't the only places for delicious treats in the Central Market. There are a few stalls with great treats that help make the trip something for little ones to look forward to. The Providore has a selection of cakes and sweets, but their main attraction is the flowing chocolate fountain. Kids can enjoy a little cup of liquid chocolate for something special. 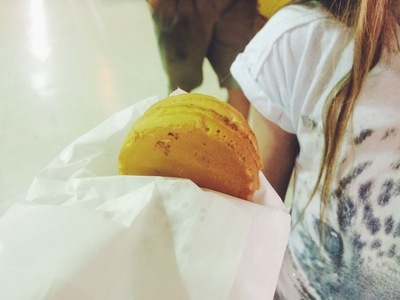 Another great spot is OBun Chef--a shop selling little Japanese cakes called imagawayaki. The buns are filled with red bean, vanilla or chocolate custard, coconut and there's even a savoury cheese filling. You can buy one for less than $2, so they're a great little treat. The Market can be fun any day of the week, but during the school holidays there are extra activities designed especially for kids. These can include things like cooking classes, face painting and craft activities. The Central Market website has a special 'For Kids' section, and this is the best place to stay up to date with all special activities and events. 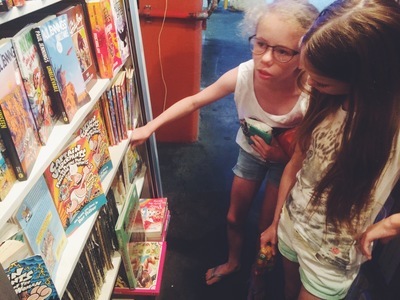 While the Central Market is mainly a destination for food, Central Market Books is a cool spot for something different that the kids will enjoy. The store has a huge collection of second hand books by authors like Enid Blyton, Paul Jennings and Emily Rodda, as well as more recent series like Harry Potter and the Hunger Games. 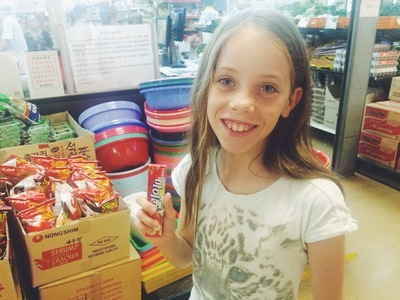 Plenty of kids hate supermarket shopping, but it's a little different at the Central Market. With the Asian grocery stores that are inside and outside the Market, suddenly supermarket shopping becomes a way to discover new and interesting things they might have never seen before. Browse up and down the aisles and let them pick out something they've never tried to take home. They usually have fun drinks and candy, but there are other things like kaya spread and make your own dumpling wrappers that kids might like to try out at home. It's a great way to learn about different foods from different cultures while having lots of fun. The final tip on our list is to keep an eye our for free taste testings. Whether it's slices of mandarin or apple, or a slice of fritz from the butcher, make the most of the free tastings and let your kids have fun with fresh produce. We left the market with one of the girls explaining how she was going to take her kids to the Central Market when she was older, and that they were going to love it and have so much fun. I think that's a trip well done!